Do you have that go to fruit that you eat all of the time and always have in your house? 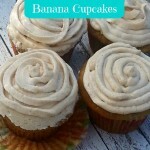 I would have to say ours in blueberries and bananas. I always have these two things in the kitchen and we go through a lot of them! 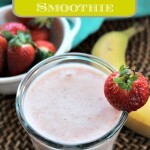 We can easily add these two fruits to make things for breakfast or even sweet treats like cookies! 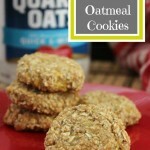 Remember these Easy Banana Oatmeal Cookies? They’re only 2 ingredients! Lately, we have been on a blueberry streak. 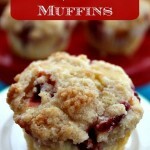 We have been making muffins almost every Sunday. 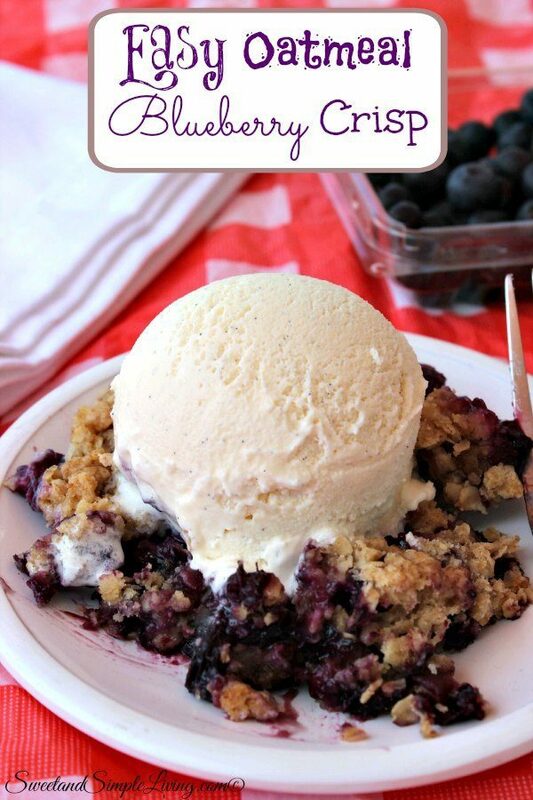 So….I decided to change it up a little bit and make this Easy Oatmeal Blueberry Crisp! 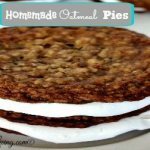 It only takes a handful of ingredients and it is delicious! Preheat the oven to 375 degrees Fahrenheit and lightly butter an 8" square baking dish. In a large bowl, combine ½ cup brown sugar and ¼ cup of the flour. Mix well to eliminate any clumps. Add the fruit and toss until evenly coated. Stir together oats, remaining brown sugar and remaining flour. Using a pastry tool or 2 forks, blend butter into oat mixture until well combined. Bake until the top is golden brown and the fruit is bubbly (about 40 minutes). Let cool 10-15 minutes and serve warm. 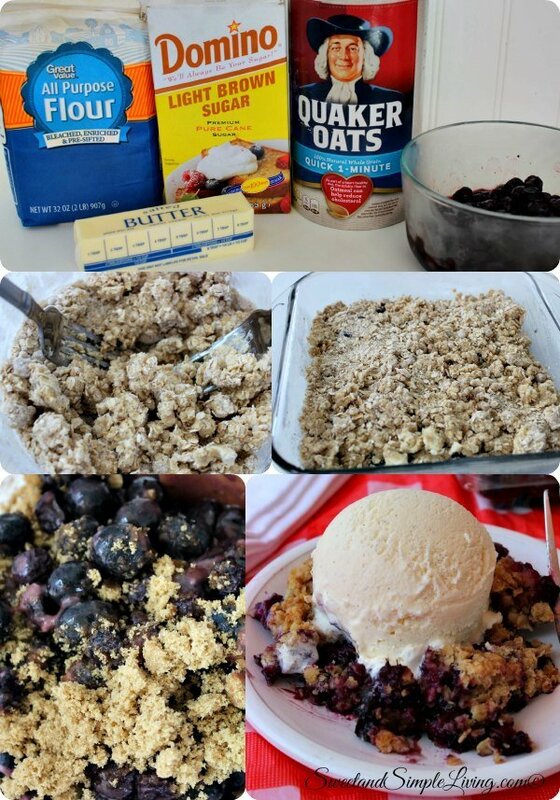 Since we were having this Easy Oatmeal Blueberry Crisp for dessert, I also served it with a scoop of vanilla ice cream on top. Or, you could just have the crisp heated up for breakfast! We are adding new recipes every day, so be sure to come back and visit us often. You can browse through all of our yummy recipes HERE! 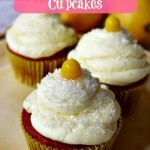 Want some more delicious blueberry ideas? Check out this cookbook! You can get it for FREE with Kindle unlimited! 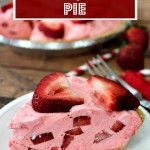 I love this recipe ,i have a problem following direction i wish i could make it.